The Thesis theme by Chris Pearson was one of the most popular, but controversial, premium themes available for WordPress. Although Thesis 2.0 was released late last year, it didn’t appeal to me greatly and most WordPress sites that use the Thesis theme are still running version 1, which includes all releases up to Thesis 1.8.5. One of the things that made it controversial was that the theme was not coded to follow the WordPress template hierachy. Instead, customisation of the Thesis theme usually required adding snippets of code to add or replace its proprietary function hooks. 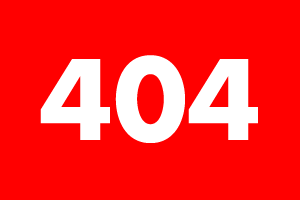 For this reason, I have had to modify the code in my previous post on implementing 404 error images to enable it to be compatible with the Thesis Theme. However, these cannot be used for displaying 404 Error Images – we need to intercept the loading of the theme files at an earlier phase so that we can display the exact HTTP headers that we need without any extra stuff added by Thesis. For this reason, we are required to hook the WordPress action “template_redirect“.